Qiam Abbas is looking very keen to learn new ways of money making online and eager to learn marketing tools. I found him very hard working, humble, helping and a very nice man. he has some good qualities which we must consider in to account like he is always willing to help others which make him unique. I wish him success in coming days. 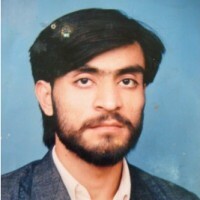 Qaim Abbas is very energetic guy and quite keen to learn and seek inovations while surfing Net, he like to make friends and keeps desire to broaden his friends diary. He uses to seek the sites for whom he understand some sort of profit giving. He is a helpful guy and feel no hesitation in giving the right suggestion on the desire of anyone. God bless him and I like to see him in the line of toppers. Qaim Abbas is very energetic guy and quite keen to learn and seek innovations while surfing Net, he like to make friends and keeps desire to broaden his friends diary. He uses to seek the sites for whom he understand some sort of profit giving. He is a helpful guy and feel no hesitation in giving the right suggestion on the desire of anyone. God bless him and I like to see him in the line of toppers. Qaim Abbas is my best friend, he is hard worker and very intelligent member . i believe him my Apsense Guru. Qaim Abbas is best friend for ever he is hard worker and very intelligent member.